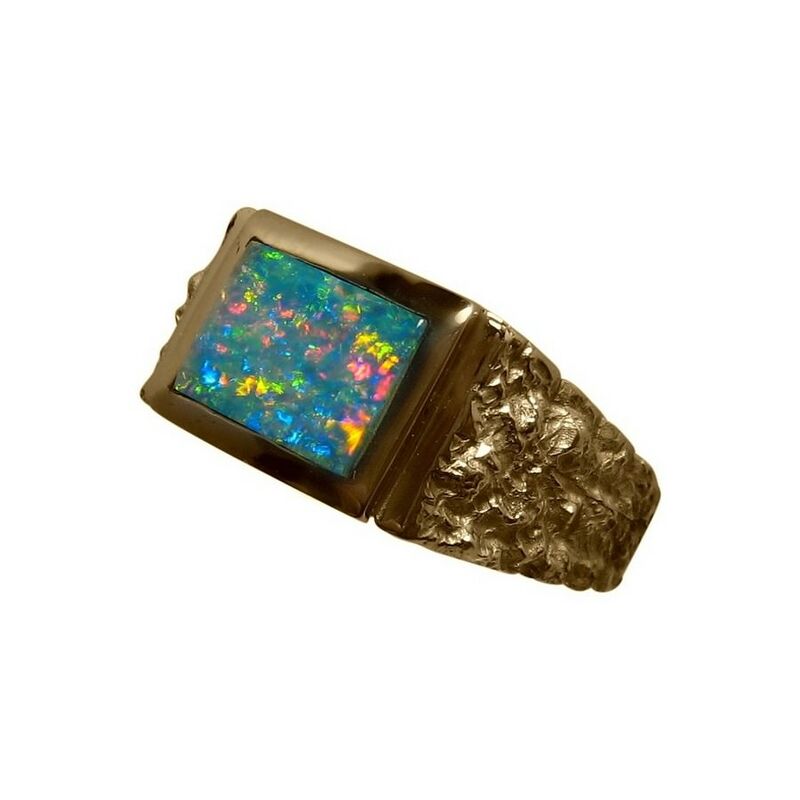 Stylish Opal ring for men in a 14k Gold band with one very bright and lively Opal. 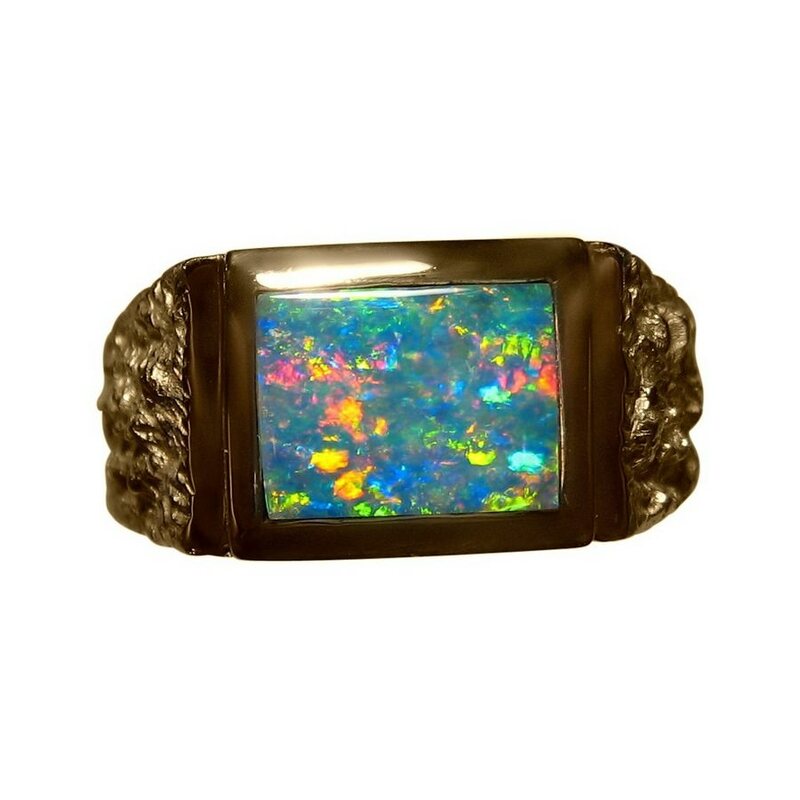 A mens Opal Ring that is stylish and masculine and features a rectangle cut Lightning Ridge Black Crystal Opal. The Red, Blue and Yellow colors are very bright in a lively pattern and the Yellow Gold of the ring highlights the Red which the video below will show better than the images. 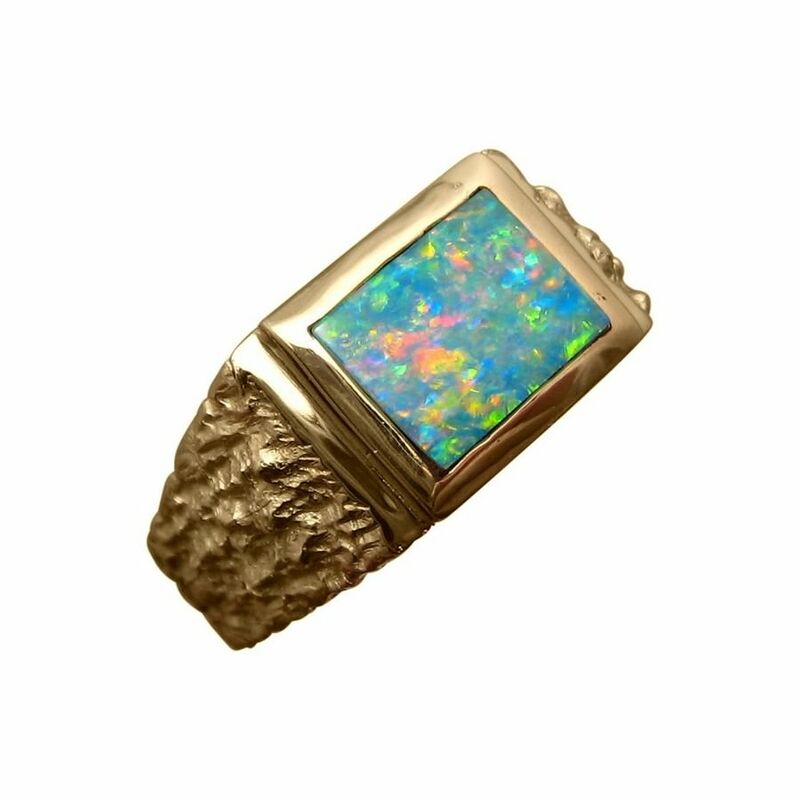 A quality Opal ring that has been sold however you can inquire about having one Made to Order through the ask a question link above.